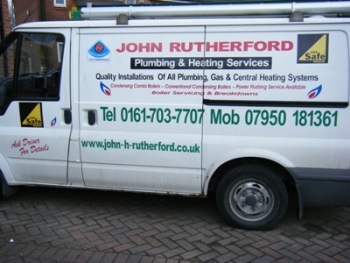 Hi my name is John Rutherford & I have been in the Plumbing & Heating trade for over 20 years, I've experienced a great deal ranging from working on new build housing to working in private domestic dwellings, I am a very conscientious worker & this reflects in all the happy customers we have catered for over the years. I now focus my business on the private & light commercial sectors including landlords. We offer a comprehensive Plumbing Heating & Gas Service Ranging from the smallest of jobs to a complete installation of your heating system or bathroom suite no job is to small for us as we welcome all trade. We also offer a fit only service of your chosen appliances or goods this is our way of helping you the customer save a bit more money, please check here regularly as we are always changing our offers. I look forward to your enquiries & do not hesitate to contact me using the contact us page & I will reply as quickly as possible.